Their products rounding up your hobby, on the bike- and in the garage. Parts and tools is what they are doing, and the prices are low!. BikeMaster is also involved with the ‘MotoGP Project Bike’. Coach Can about BikeMaster: “I am happy to have these guys on-board. We’re using their Oil, chains, cleaners and tools. Basically all the stuff you need to keep that motor running. I actually also love their philosophy and enthusiasm about bikes”. Use the Dealer Locator to find a dealer near you. If a dealer doesn’t have stock on the items you need, they can be ordered and you should generally receive them in less than a few days. Moto Gear has been working since 1999, manufacturing unit of leather wear especially high end quality textile and leather racing suits, Gloves, Leather Jackets (fashion, racing) at competitive rates and according to customer’s specifications. We have experienced 10 years to make custom made racing suit as we are making many custom racing suit for big names in market. It started with a goal to produce high quality. Its renowned for quality racing suits, gloves, leather jackets at competitive rates and according to customers specifications. Our products are constructed from the experienced craftsman, which is the major key for producing high quality products and we ship worldwide. We are regularly updating our employees and training up new skills, Accusation of new technology and regularly revolution if its quality. …If you’re looking for a new helmet, you might be asking yourself: These days can there really be that much difference between one brand and another? And if so, haven’t any differences that do exist become pretty slim? The answers are Yes. And No. The simple truth is, while there are indeed a lot of helmets out there, there is still only one Arai. The name and reputation have been forged over time, the hard way. Which means we haven’t devoted three generations of the Arai family to the singular goal of no-holds-barred excellence just to turn out helmets like everybody else’s. Arai alone has the experience, the quality. My grandma use to say… “You’ve gotta have Italian shoes. Basta!” As I’ve been for year on the search for the right motorcycle boots- which are fulfilling my relatively high standards in my gear as a professional rider- I found out that she was right! Forma boots are developed with high-end materials on a very high quality level, and the look is fantastic. 2015 is the 3rd year I’ve been using Forma Boots for their quality- durability- safety- and design. 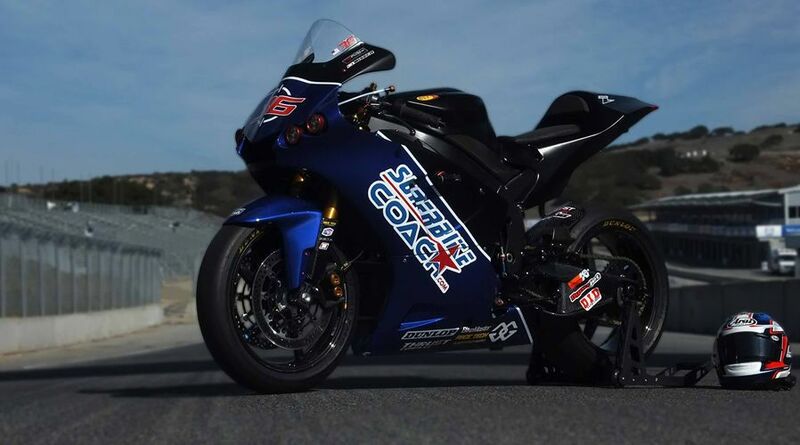 These guys are bike enthusiasts and we love their passion- and they love what Superbike- Coach does- which is why Forma is donating a 20% off discount (code: superbikecoach1) for all of our students- plus free shipping! How cool is that?! is new Superbike-Coach sponsor. TechSpec became famous for their fabulous Gripster tank grips, which makes the rider stays in place and protects the bike. Motorcycle Grip Pads, Tank Grips and Traction Pads have been around since the 40’s. Tech Spec’s “GRIPSTER Grip Pads” takes the concept of gripping and protecting your tank, leap years ahead. With Snake Skin ,or High Fusion and a remarkable releasable adhesive, TechSpec’s, Gripster Grip Pads are sure enhance your riding adventure. We are happy to announce that Continental has become a new sponsor to the Superbike-Coach Corp. This relationship goes back to Germany, when Coach Can was sponsored by Continental Germany in his time as a leading instructor for a racing school in Europe. Continental has street and handmade race tires of extraordinary quality and performance. is another Superbike-Coach sponsor since 2017. Dynojet became famous for their fabulous Powercommander fuel management systems, which are used by riders all over the planet, in racing and for street riding. Dynojet Research, Inc. is the world leader in the development and manufacturing of performance enhancement products and tools. Their fuel management and diagnostic products, coupled with their personalized services, give you the resources to maximize performance and increase efficiency. All Superbike-Coach bikes are equipped with it for a good reason… better ride-ability and performance. Also we, the Superbike-Coach Corp sponsors. We’re supporting motorcycle clubs and meetup group organizers. 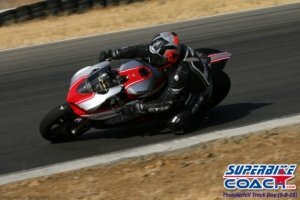 Here is a list of a couple of meetup motorcycle groups, where we have 10% off discounts on our Cornering School Day’s for their members: Groups Rides, Calspeed Moto Riders, San Jose Motorcycle Riders, and NorCal FastFar Rider. Only members are getting that discount from them, so why don’t you look at one of these groups- have rides with them- and meet new friends. Organize meetups yourselves or just have a good time with riding buddies. I’m Dean Lonskey, owner-founder of “Dean Lonskey Photography”. I’ve been taking pictures for as long as I can remember but didn’t get serious about it until 2005. I’ll photograph just about anything or any occasion, however, my passion is motorcycles. I’ve been riding for over 40 years, (street bikes for about the last 20 years and racing amateur motocross off and on since 1974) so it just came natural shooting motorcycles. Coach Can is also very passionate about motorcycles so it was only natural we’d connect and I’ve been the photographer for Superbike-coach Corp since November 2014!